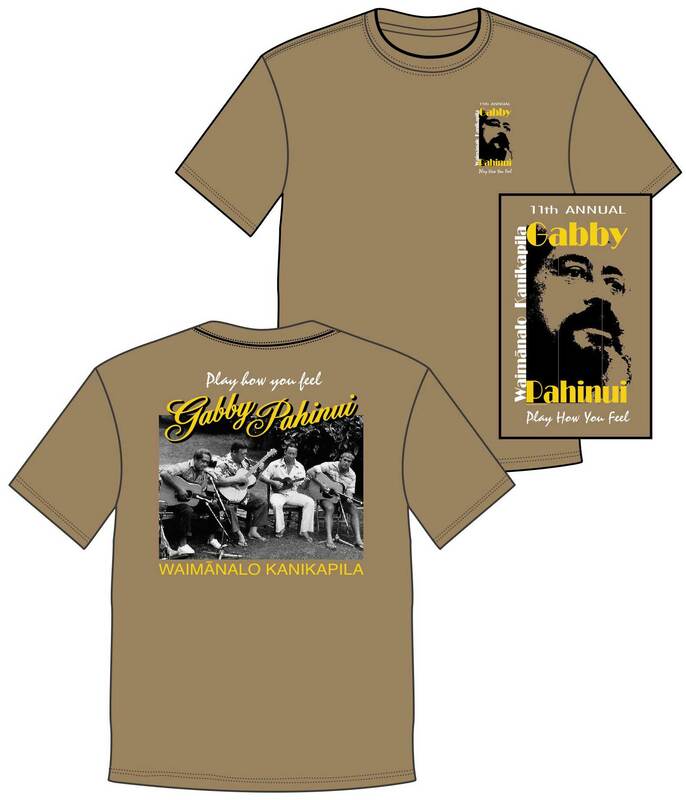 Each year we print a new color t-shirt for the Gabby Pahinui Waimanalo Festival and once discontinued, colors are not reprinted making this a valuable collectible. Help us raise $35,000 for a bronze statue featuring a Pahinui Family Kanikapila. To this end, we have committed to donate $1 from each t-shirt sold. So, your purchase not only gets you a collectible limited edition t-shirt and supports the continuation of this annual festival at Waimanalo Beach Park it also helps to honor those who have contributed to Hawai‘i’s unique musical voice.